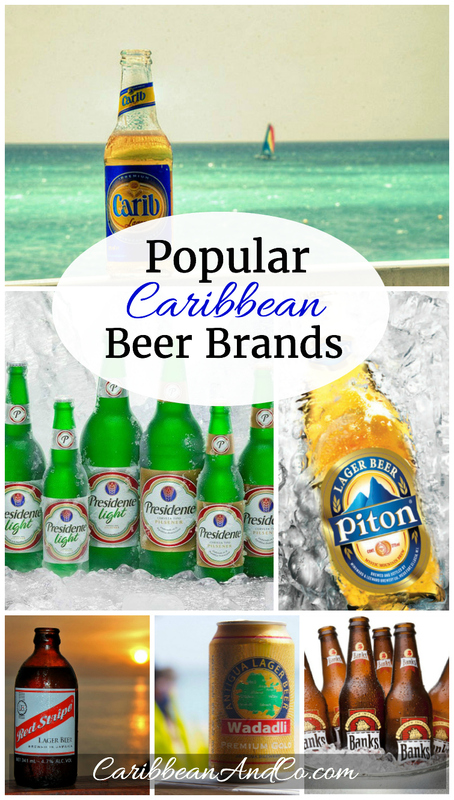 Popular Caribbean Beer Brands - Caribbean & Co.
Rum tends to be the drink of choice for those who want an authentic Caribbean beverage experience. But an alternative for some could be one of the established or emerging Caribbean beer brands brewed on at least 20 Caribbean islands. Below is a list of these Caribbean beer brands; quite a few have won international awards and recognition. 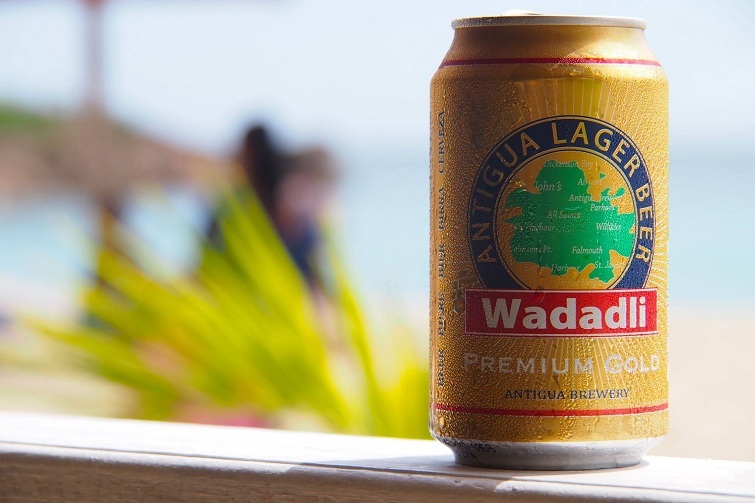 Wadadli brewed by Antigua Brewery is Antigua’s official beer. This lager is pale, with a thin body. However, visitors describe it as light, fizzy and refreshing – perfect for consuming while sunning on the beach. For a true taste of the Caribbean, literally, try Balashi beer. Using Caribbean water that has been desalinated, this brew gives a true ‘island’ taste. Tour the brewery in Oranjestad, Aruba, where the pale brew is made. A specially made walkway lets visitors watch the process from above. Balashi won the Gold Medal from the Monde Selection in Brussels in 2001 as well as the Grand Gold in 2004. A strong alcohol kick is what Kalik drinkers get. This national beer of the Bahamas is 7% alcohol. With a corn and lemon smell and a nice head over a golden body, this brew makes up 50% of the beer sales in the Bahamas. Kalik Beer won three consecutive Gold Medals from Monde Selection. Its brewer, Commonwealth Brewing Ltd, also produces Kalik Light and Kalik Gold, two lagers lighter than the original. Banks (Barbados) Breweries Ltd. produces a range of alcoholic and non-alcoholic beverages from shandies to malts and Energy Drinks but it is most famous for its Banks Beer. This premium pilsner style lager has won a number of gold medals at the international level, including the Monde Selection arena. 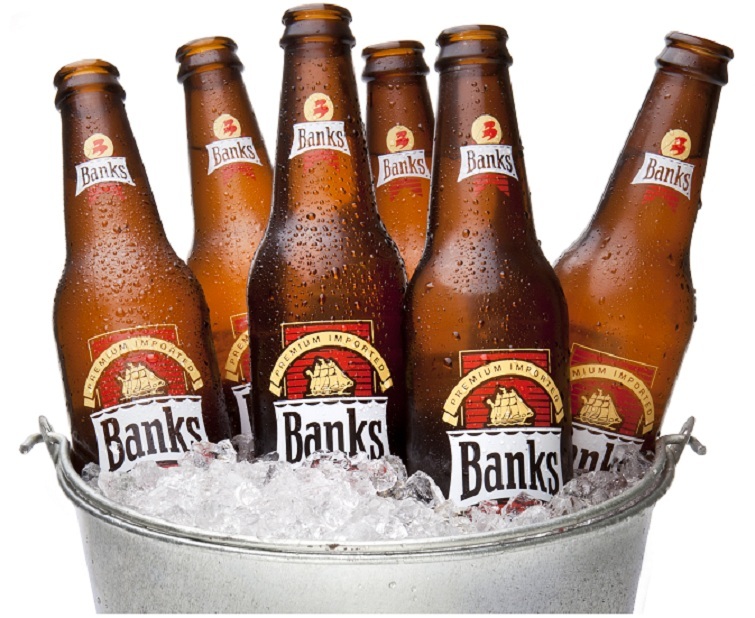 Banks Beer has a distinctive, crisp flavor and exceptional Caribbean character, sure to delight the palate. True beer drinkers will taste a trace of vanilla in the pale yellow lager, Caybrew. The most common beer on the Cayman Islands, this light-bodied beer has a grainy flavor. It has a crisp texture that may leave you thirstier than when you started drinking. The Cayman Islands Brewery also produces Caybrew Premium Light, Ironshore Bock and White Tip Lager. Bucaners beer is made from water from the Holguin area of Cuba. Bucaners has a strong hoppy smell and a bitter taste from its dark golden color. Amstel Bright not light is the popular beer of Curacao. A surprising bready, sweet taste is a contrast to the desalinated ocean water used to make this pale lager. This beer is very refreshing served ice cold as the bottle suggest. Made from spring water with a name that means ‘Tall as Her Body’ Kabuli is the official beer of Dominica. This amber-colored lager brewed by Dominica Brewery and Beverages Ltd won the Monde Selection Gold Medal award in 2002. 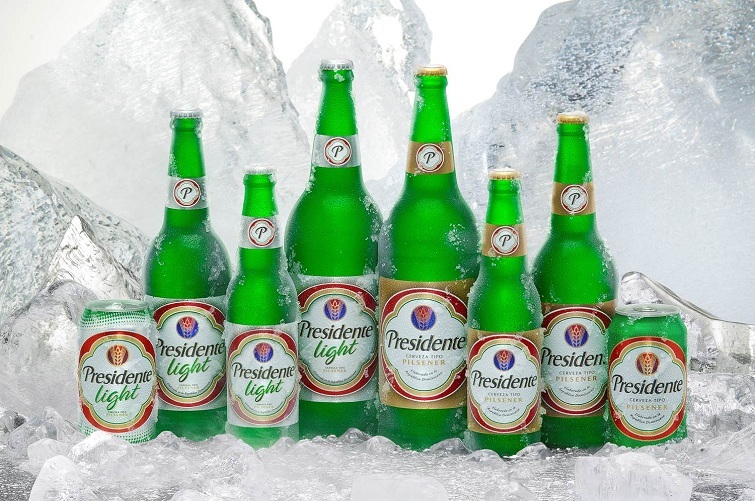 Commonly found in the USA, Presidente beer is the official beer of the Dominican Republic. Serve it chilled for best flavor. This is the most exported beer of the Caribbean. Other beers from the Dominican Republic include: Presidente Light, Bohemia Especial, The One and Quisqueya. Corsaire Biere is bottled with a lovely, golden-foil wrapper against a colorful pirate themed label. Made in Guadeloupe, the golden color matches the label. It has a citrus flavor and a bitter herbal taste. Served only in glass bottles, no cans, Prestige beer is a heavy beer made in Haiti. The dark brown beer has a slightly malty taste. This beer won a gold medal in 2000 at the World Beer Cup for American-style larger. Prestige has 98% of the market share in Haiti and is exported to some American cities. 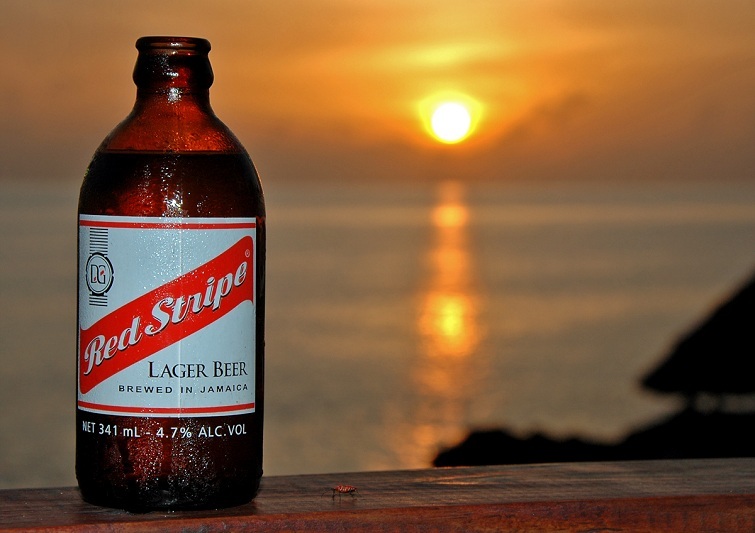 Red Stripe produced by Desnoes & Geddes is arguably the most international of the beers from the Caribbean region. It is a pale lager. The company also produces Red Stripe Light, Dragon Stout and Malta, a non-alcoholic beverage. Kingston 62, alternately Kingston Beer is a pale lager also sold on the island. Biere Lorraine hales from the island of Martinique. Visitors describe the beer as light-bodied with a grainy, wet grass taste. The aroma is slightly floral. Thin texture with a small head and bitter aftertaste. Beer experts seem to agree that this one is an acquired taste. So carbonated that it could be described as a bubbly, Medalla Light is brewed in Puerto Rico. Smelling of corn, this beer is very light, pale and very, well- standard. Some even described the taste as having an after hint of wet cardboard that was an improvement. Others say it has a grassy aftertaste. Whatever the case, it’s the top selling beer in Puerto Rico and was awarded first prize in 2005 for light beer in by Monde Selection in Brussels. It should also be noted that two others beers, Silver Key and Magna are also produced at the same brewery – Compañía Cervecera de Puerto Rico. Light, fruity and low in alcohol content, Skol Beer is very popular in Brazil. Skol is the official beer of St. Kitts and Nevis. It is a very light-bodied beer with a slightly sweet taste and a subdued aroma. It pours a very pale yellow with few suds. 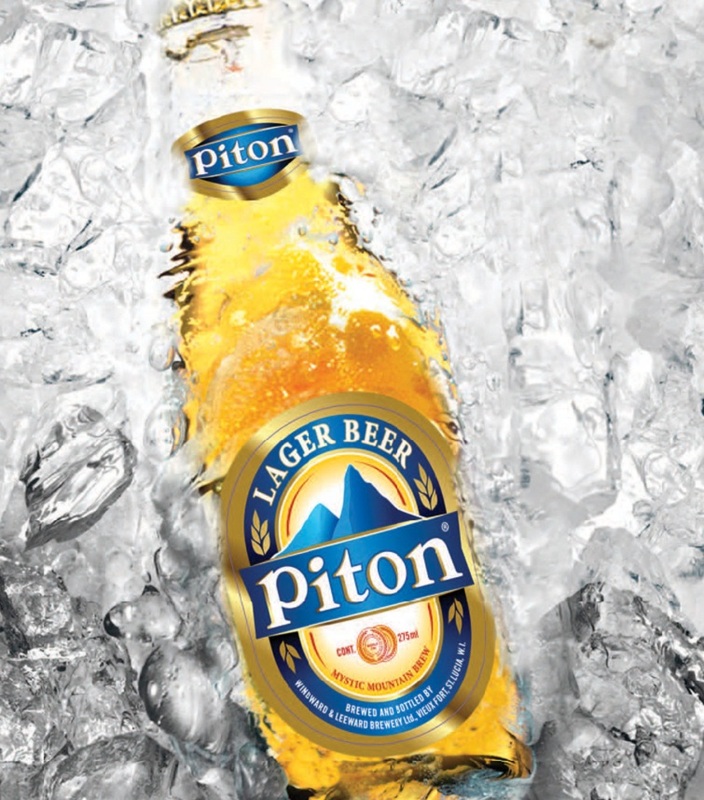 The unique flavor of Piton beer from St. Lucia comes from the maize that is local to the island. Brewed by Windward & Leeward Brewery Limited, Piton beer is named for the Petit Piton Mountains and has a floral taste to it. Brewed by St. Vincent Brewery since 1985, Hairoun is the national beer of St. Vincent & The Grenadines. At the right temperature, this clear golden beer is smooth and crisp. However, if you chill this beer too much, the flavor is lost. Consuming it at the right temperature is key to enjoying this beer. 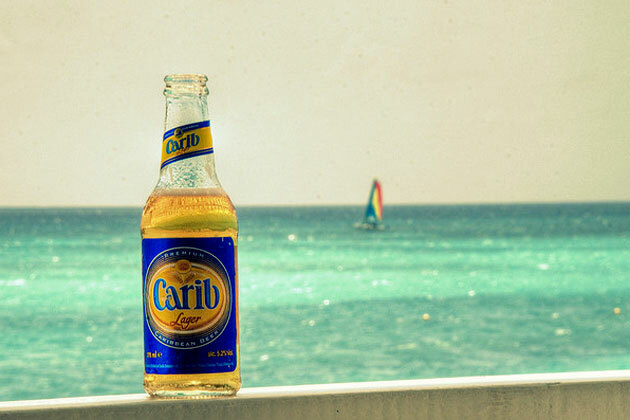 From a centuries old recipe, Carib Lager has been bottled since the 1950’s. The official beer of Trinidad and Tobago, it ferments longer than most beers and at a cooler temperature, too. This results in a thick brew. One of the oldest Caribbean beers, it has a beautiful golden color. Carib Breweries also manufactures: Stag Lager Beer, Shandy Carib and Malta Carib. Turk’s Head Island Draught is, of course, from Turks and Caicos. This lager is available in dark amber and pale yellow. Since the pale lager is lower in calories, it is great for the bikini-conscious tourist. The amber beer is medium-bodied and reddish when poured. A slightly caramel note with hints of gingerbread and fruits, this is one of the best options on the island. If you like a strong after bite and a smell of fruity mangos, then the Virgin Islands has your beer. Virgin Islands Ale is made on St. Johns. With a fruity flavor and beautiful golden color, this is a popular beer. The brewery has some award-winning beers. Some describe this as a sweet beer that would be good with a slice of chocolate cheesecake.